A Smalley Laminar Seal Retaining Ring is a metallic labyrinth seal consisting of multiple rings in a groove. To seal an assembly from contamination while withstanding high temperatures and corrosive environments, Laminar rings are produced from metal, not rubber, neoprene, or other non-metallic materials. The arrangement of the rings and the specific orientation of the rings are dictated by the application and the severity of the environment. Numerous configurations are available; standard sizes from 5/8" to 50". 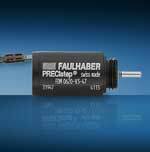 MICROMO presents a high-performance FAULHABER stepper motor with minimal size, the FMD0620 series. With a holding torque rating of 0.25 mNm and a dynamic torque of up to 0.2 mNm, the FDM0620 stepper motors are an ideal fit for applications in optics, photonics, as well as medical technology industries, in which high power is required in the most compact space. At the huge international trade show Hannover 2013, SKF unveiled an innovative technology that promised to revolutionize the way engineers use and interface with bearings. Called SKF Insight, this setup integrated a miniature, self-powered and intelligent wireless sensor at the heart of the bearing. Close to two years later, the technology is under validation in situ and is finding practical applications in a number of different market sectors. 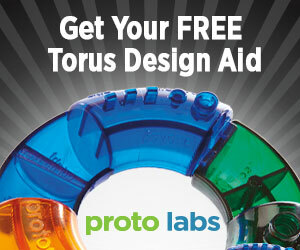 The Torus design aid has a trio of interconnected sections, each highlighting features that serve various purposes in part design. A pair of light waves (one zipping clockwise, the other counterclockwise around a microscopic track) may hold the key to creating the world's smallest gyroscope -- one that is a fraction of the width of a human hair. By bringing this essential technology down to an entirely new scale, a team of applied physicists hopes to enable a new generation of phenomenally compact gyroscope-based navigation systems, among other intriguing applications. Sirius, an open-source computing system you command with your voice like Apple's Siri, Microsoft's Cortana, and Google Now, has been designed to spark a new generation of "intelligent personal assistants" for wearables and other devices. But unlike its expensive and locked-down commercial counterparts, Sirius is a no-cost option and can be customized. The U.S. Army, supported by NASA and the Navy, is developing a new fleet of joint aircraft aimed at addressing several of the capability gaps that cannot be satisfied by updating the current fleet, including creating a 100-knot improvement in speed. Designed using extensive CAD-user input, the 3Dconnexion CadMouse is the first mouse made specifically for CAD professionals. It combines powerful, ergonomic hardware and smart, easy-to-use software. 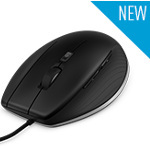 It features a dedicated, full-size middle mouse button; QuickZoom; a smart scroll wheel; an advanced laser sensor; a gesture/radial menu button; and optimally shaped PTFE feet. Power users will have the CadMouse in one hand and the 3Dconnexion wireless SpaceMouse Pro or SpaceNavigator in the other. Engineers at NASA's Jet Propulsion Laboratory in Pasadena, CA, have been developing cutting-edge technologies that will enable spacecraft to land at a specific location on Mars -- or any other planetary body -- with more precision than ever before. Engineers have recently tested these technologies, which include a find-by-sight map-matching capability, onboard a high-tech "Xombie" vertical-launch, vertical-landing reusable rocket. Elma Electronic Inc. now offers a miniature rotary encoder that includes an illuminated 8+1 joystick, enabling seamless, accurate control using just one finger. The new Multi Wheel Encoder features Hall effect-sensed incremental encoder output and 12 detents with magnetic indexing to ensure proper alignment and positioning through the life of the encoder. The compact, reliable and long-life Multi Wheel is ideal for test and measurement in outdoor environments as well as for use in industrial control environments. 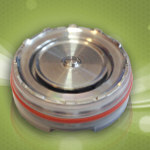 It is also well suited for aviation cockpits and for transportation and construction applications. Gearboxes used in rotary drive systems operating near absolute-zero temps are often adversely affected by the extremes of their environment. The most common failures are the result of differential thermal expansion, which can cause the gears to uncouple. A Physics Research and Development Laboratory in Toronto, Canada, uses nickel bellows manufactured by Servometer® to replace the angled gearbox in their RDS cryogenic project. They have found that Servometer nickel bellows generate less heat in their application than gears do, and they shrink less than gears at milli-kelvin temperatures, resulting in longer and more reliable operation. Servometer uses a unique electroforming process to manufacture its parts, which involves building thin metal layers onto precision machined mandrels. The bellows specified for this particular application have a 0.25" outside diameter (OD), a 0.15" inside diameter (ID), and are 1-in. in length. To learn more about electroforming basics of miniature and specialized components, read the Servometer white paper. No registration required. Product designers and engineers can now get injection-molded low-alloy steel prototypes and low-volume production parts at rapid manufacturer Proto Labs. The company has added two nickel steel materials (Catamold FN02 and FN0205) and a chrome-moly material (Catamold 42CrMo4) that is the metal injection-molding (MIM) equivalent of 4140 steel. 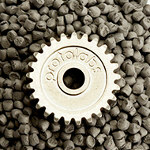 The new metals expand the potential applications for parts produced by Proto Labs' advanced MIM process. Low-alloy steel creates strong, wear-resistant metal parts when heat treated and is able to be coated in post-processing for further protection. These materials will be used heavily by the firearms industry for various gun and archery components as well as by automotive engineers for engine and transmission components, and the industrial goods sector during development of hand and power tools, and door and window-lock hardware, for example. Pittman Motors has significantly expanded its gearbox offerings with the introduction of PLG24, PLG42K, PLG42S, PLG52, and PLG63 planetary gearboxes. These gearboxes are now available with Pittman brush and brushless DC motors and complement Pittman's existing spur and planetary gearbox lines. 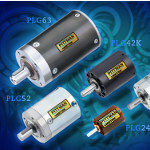 The new products add 35 standard motor-gearbox family combinations to the Pittman offerings. The PLG planetary gearboxes deliver high torque loads with excellent efficiency and are small, durable, and quiet. These features make them suitable for a variety of OEM precision motion-control applications, including pan/tilt functions, indexing, pumping, conveying, and traction applications. The arrival of a unique experimental demonstrator at NASA Armstrong Flight Research Center on Feb. 26, 2015, may herald a future in which many aircraft are powered in part by electric motors. The Leading Edge Asynchronous Propeller Technology (LEAPTech) project will test the premise that tighter propulsion-airframe integration, made possible with electric power, will deliver improved efficiency and safety, as well as environmental and economic benefits. U.S. Army researchers are working on a two-phase small-arms fire control project to help warfighters make more accurate shots from longer distances. Combining a new laser range finder with software that can pick out and track human targets, the engineers and scientists have demonstrated the capability to fire and hit the targets accurately from 1,200 m and further. A team of Columbia Engineering researchers has invented a technology -- full-duplex radio integrated circuits (ICs) -- that can be implemented in nanoscale CMOS to enable simultaneous transmission and reception at the same frequency in a wireless radio. Up to now, this has been thought to be impossible: transmitters and receivers either work at different times or at the same time but at different frequencies. The world's most flexible, lightweight table-top robot to work alongside humans. With the UR3, Universal Robots brings industrial automation to the table: The compact robot arm weighs only 24.3 lb, but has a payload of 6.6 lb, 360-degree rotation on all wrist joints and infinite rotation on the end joint. Find out more about the UR3.